Are you planning to host a transport website or are you already hosting one? Themes and templates can either attract or deny you traffic on your site. Good, modern and well-designed themes are what you need for your website. People will only revisit your site if they find a good reason to do so. 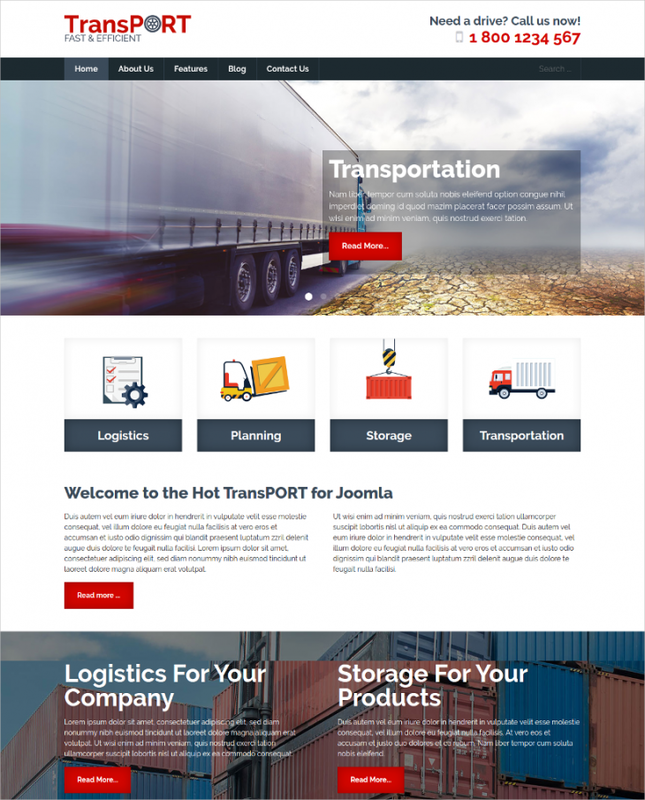 These 30 best Joomla transport templates and designs are the best for your business. These templates are designed to suit your needs and give you the best service ever. Below are some of the top ranked templates that may of some help to you. 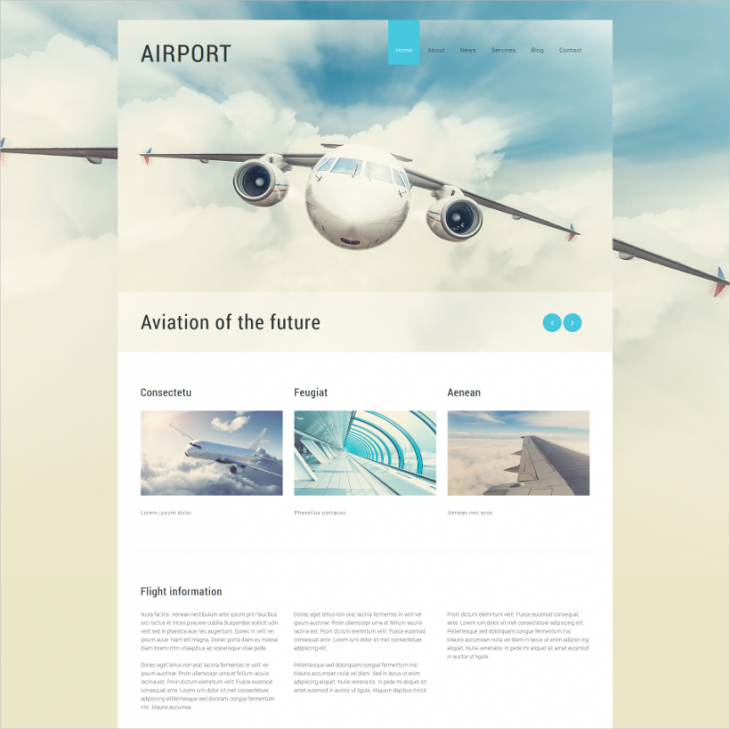 This theme is designed for a private airline transport. It has a 100% responsive design and has no heavy design features making it easy for users to put their attention only on the right content. It has readable fonts and bold banners that are well designed in big sliders making it user-friendly. Airline transportation Joomla theme is SEO friendly and cross browser compatible. 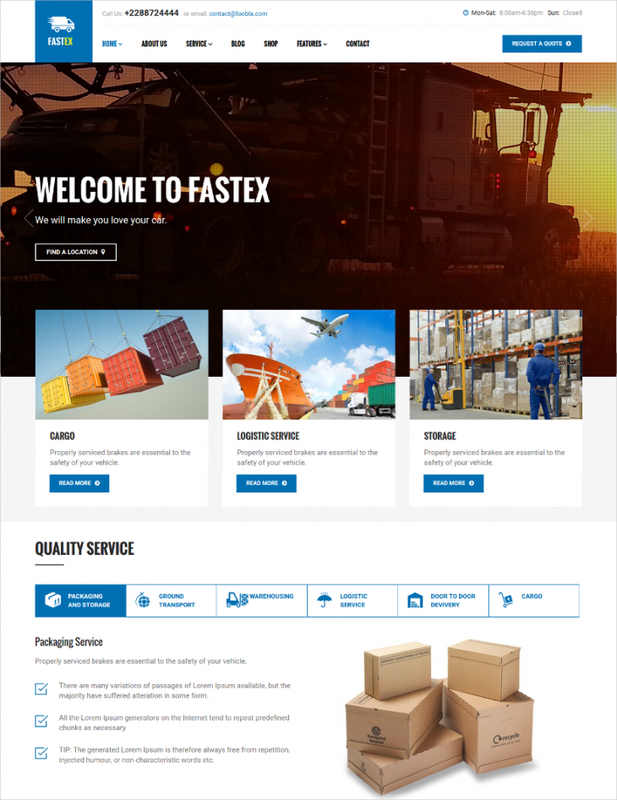 Amazing parallax logistics transport Joomla theme is suitable for sites dealing with logistics services, warehousing, ground transport, cargo services and door to door delivery. It comes with a quick quote, unlimited colors and skin, and a very responsive design that makes it compatible with all gadgets of different screen types. Installing this theme is very, just by following a simple inbuilt demo it will be done in a short while. 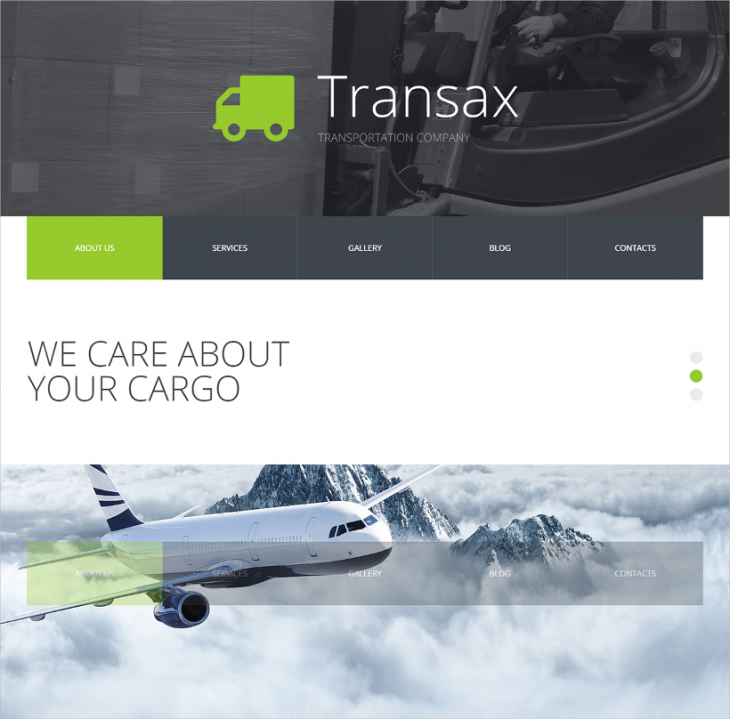 Premium cargo transport Joomla template has a clean design and flat style. It has a white space that directs the attention of the user to the content. The visitors read the content so easily by the help of retina ready visuals. The theme is responsive and user-friendly. Installing it is not difficult, you will just need to follow some few instructions and you will be done. 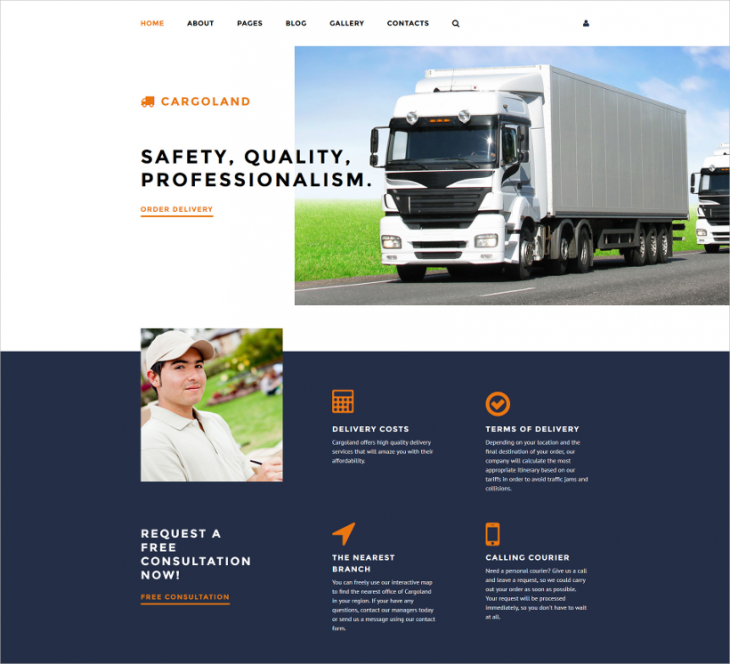 This theme is suitable for transportation, trucking, freight business and logistics. 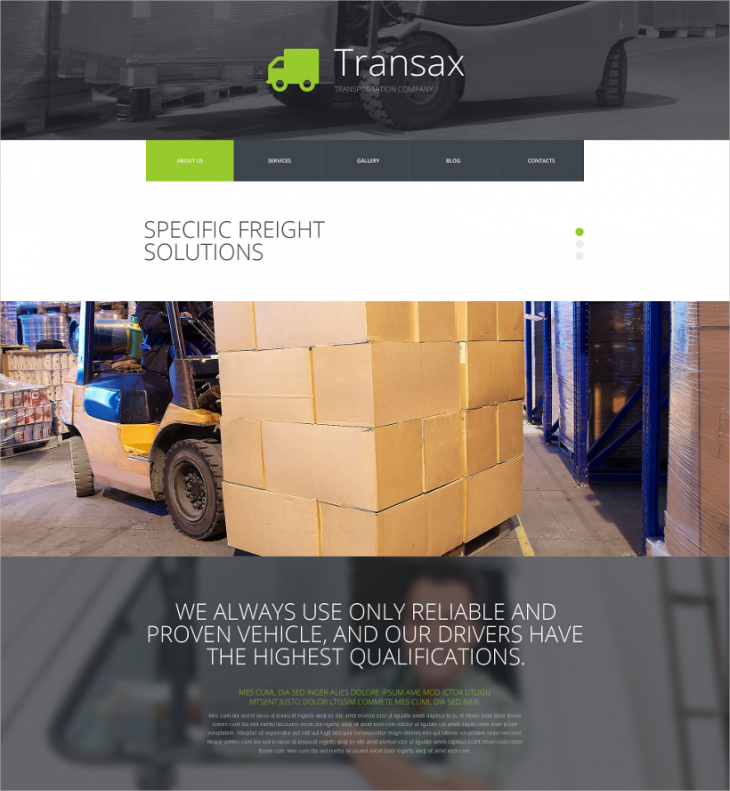 Transportation industry of any size can easily fit in any of it homepage layout. Other unique features of this theme include a variety of colors, click to install demo, responsive and mobile friendly and much more. It is also multi-language and cross-browser compatible. 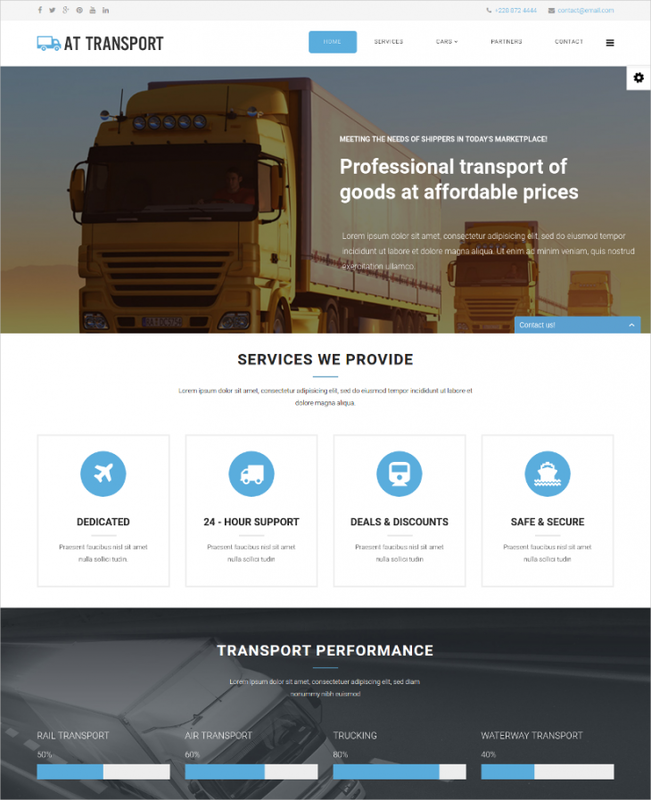 Transport responsive Joomla theme has a spectacular look slider images covering the full screen. All the services that the company provides are arranged in a horizontal list with round banners decoration. The template has Google map inbuilt in it. It also has social media plugins and newsletter subscription option. This template is based on Bootstrap Framework, as a result of this; it is very responsive and user-friendly. It has Google map plugin and more than 40 good fonts. You will find all the necessary features for a template well arranged and easy to use. 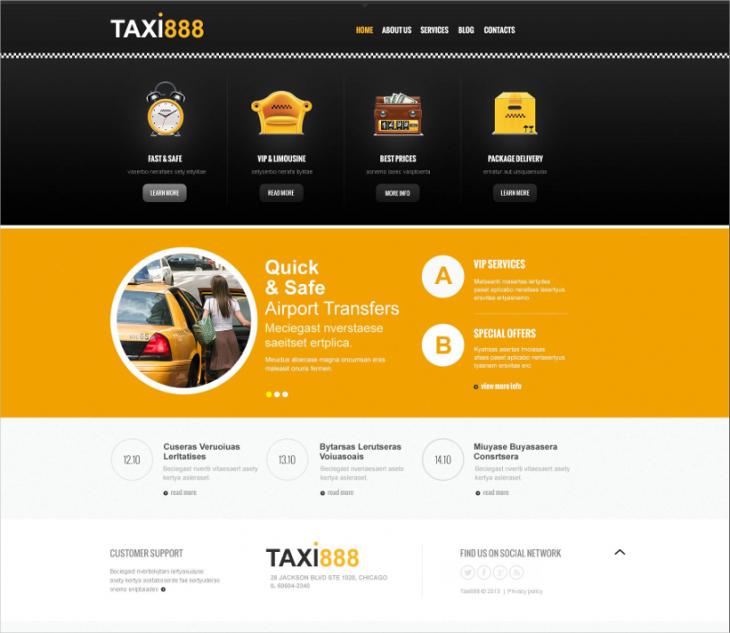 Custom page taxi transport Joomla template is designed for taxi industry; it has matching taxi colors which are yellow and black. The purpose of yellow and black colors is just for customers to identify it easily. It comes with instructions and setup attachment on its documentation folder. 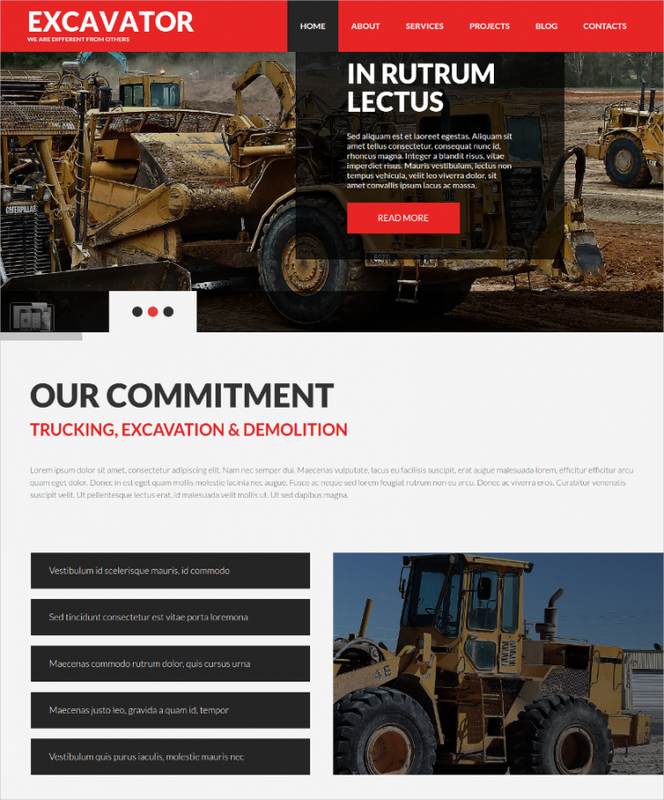 This template is basically designed for tracking companies, excavating and mining companies. It is based on AS and Bootstrap framework that makes it very responsive, customers can easily view it from gadgets of all sizes. 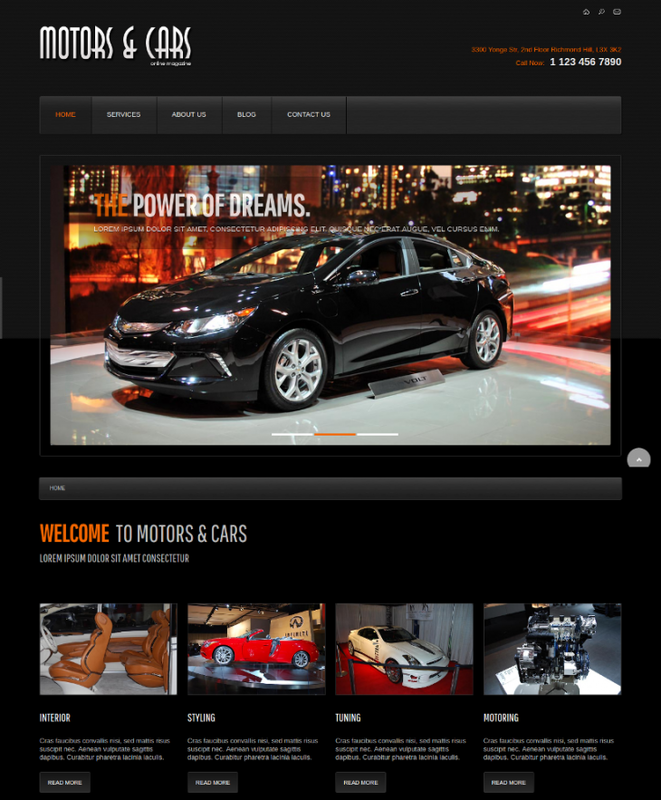 This theme is designed to be used for online magazine/auto services; it can also fit in other online businesses. Its dark and stylish background gives a good impression to any visitor who visits the page. It operates in a bootstrap framework that makes it very responsive to all types of screens. It also has over 50 Google fonts. 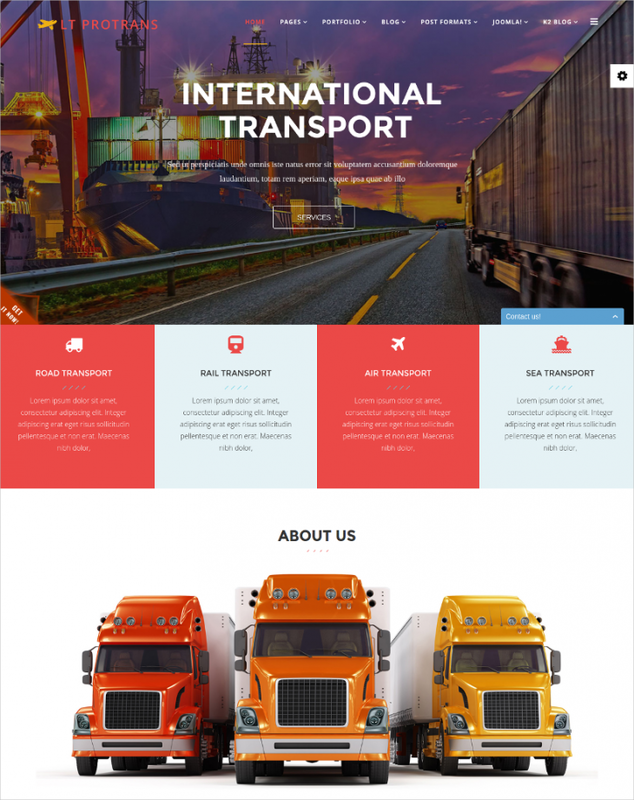 This template is designed for transport websites; it’s very responsive supporting different screen sizes with up to 4 colors styles. Template parameters make it easy for editing of the content in a very convenient way. It is cross browser friendly and it has an option for social comments. 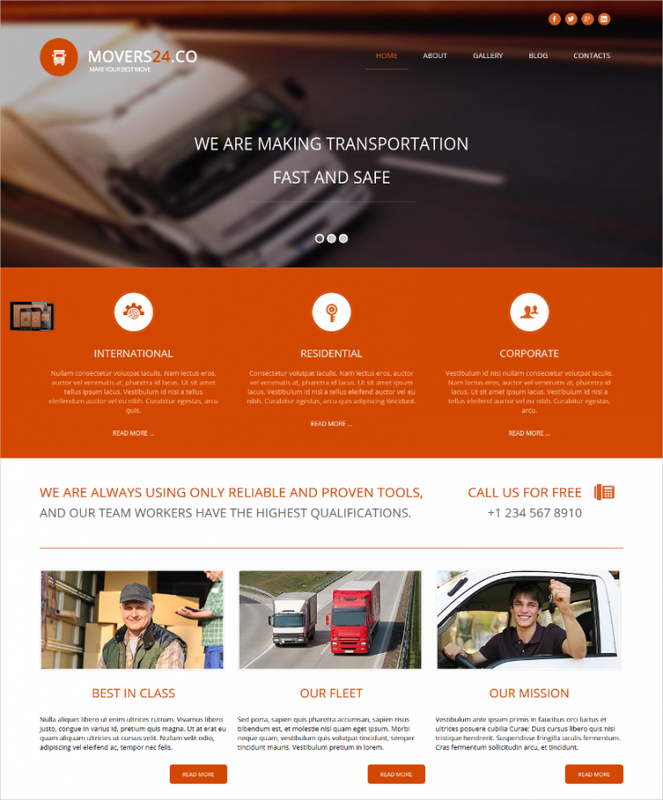 Excellent transportation Joomla theme is designed to suit road transport of goods. It operates on the Sparky framework which is the latest version. Contact details and other necessary features of a smart and responsive theme are all available in this theme. When you scroll down the template you will find clients testimonials and a map. This template provides efficient and safe transportation services with a personal approach. It focuses most on people who do professional goods transportation. It is stylish, clean and totally responsive, works great on all tablets or mobile versions. You don’t need to worry about installation, a demo site on will give you all the instructions on how to install it. 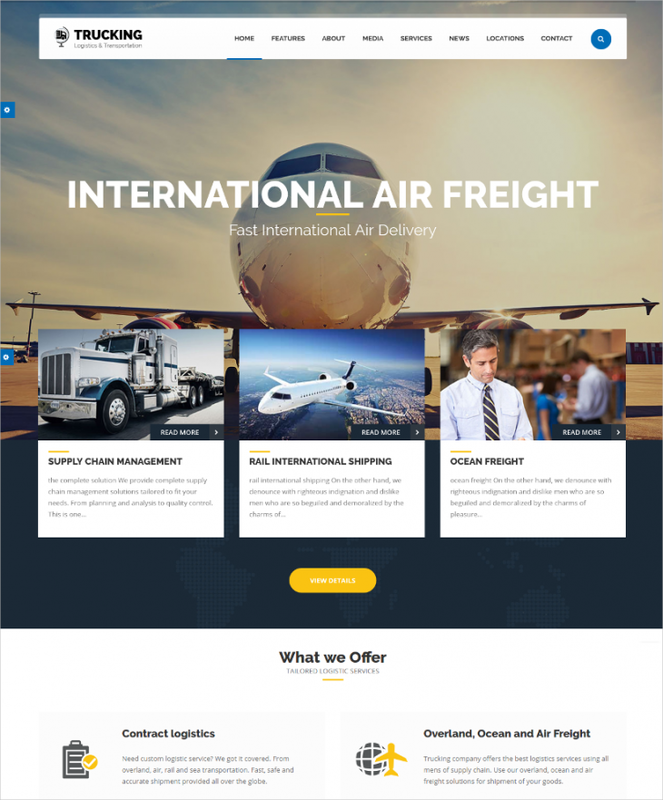 This template is designed for websites that deal with air, truck and marine transport. It is responsive to all screen sizes and user-friendly. A visitor can subscribe to newsletters and also search location using the available Google map. It has a variety of colors to choose from to suit your color taste. 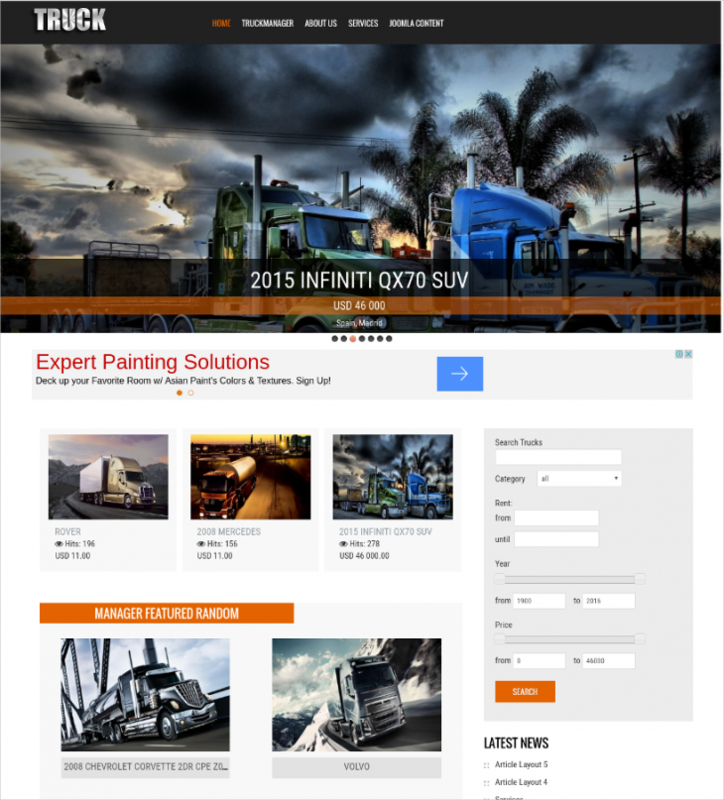 This template is designed for transport and automotive websites. It has a major focus on professional transport, and it’s responsive and user-friendly. It has a good layout with 4 color styles and strong short codes. You don’t need to change the browser that you’re using because this template is cross browser friendly. When you get the right transport themes or template then your website is almost done. 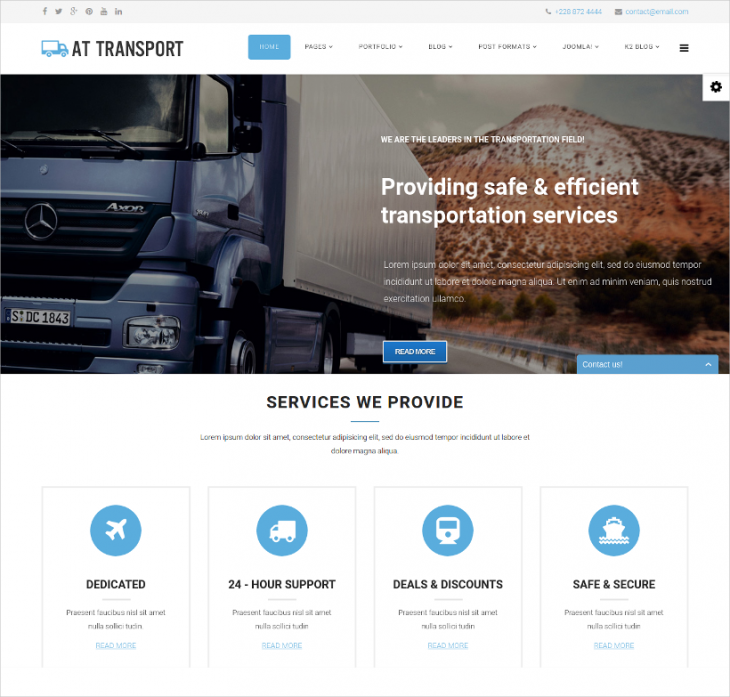 All transport providers have something to grab for themselves from 30 Best Joomla Template and Designs because they have a variety of well-designed designs and templates. Go ahead and get a template that is responsive, user-friendly and above all cross-browser compatible. The designs of these templates don’t deny any visitor access to it as they’re all user-friendly. Just comfortably visit our site and grab for yourself a theme that suits your needs.